I hope you guys are having a fabulous day!! Thank you for all the kind msgs on twitter/instagram/etc... about my recovery from my last post! I really appreciate it!! I am still getting better day by day and God willing will be 100% within the next two weeks. 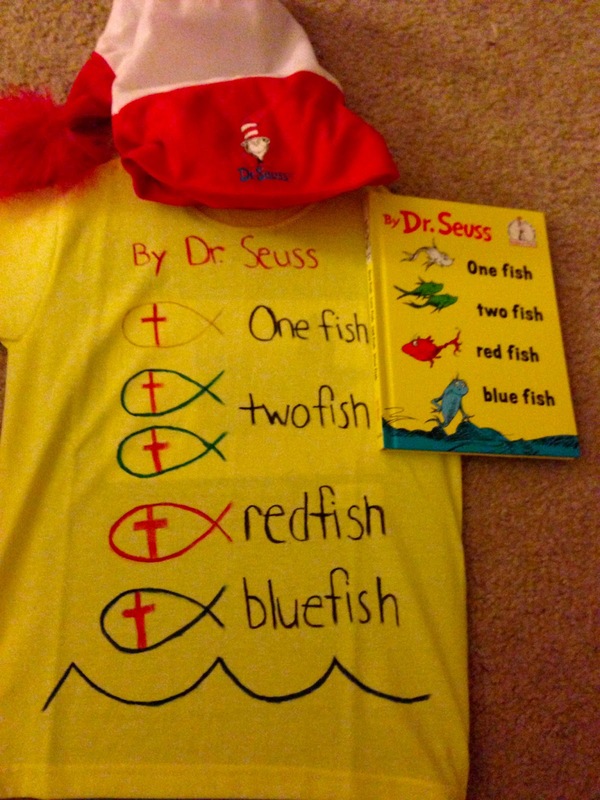 Today was Dr. Seuss day at my son's school to celebrate his birthday and reading. Lil Tony started reading this school year and he is such an amazing reader already, so today definitely has a lot more meaning than last year. The kids all can dress up wear shirts, hats, etc, to celebrate. Every year without fail, I always forget its coming up and dont have time to order a shirt so I make one. I actually like doing it because I can put a different twist on it. T goes to a christian school and they wear christian t-shirts on the last Friday of every month, so I like to give the Dr. Seuss shirts a little twist so they can be christian t-shirts as well. Thanks for reading and I hope you guys have a wonderful day! And like the quote above says: "Why fit in, when you were born to stand out?" 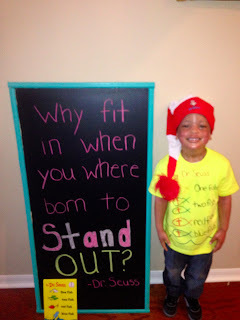 Dare to be different and have a blast doing it too!